The library will closed on Friday, April 19th, and Saturday, April 20th, for the Easter Weekend. We will reopen on Monday, April 22, at 1:00 p.m.
Make a Birdhouse Out of a Paperback Book! The Library will be closed on Monday, Dec. 24th and Tuesday, Dec. 25th. We will reopen on Wednesday, Dec. 26th at 2:00 p.m.
Beginning January 2, 2019, the library will have new hours. Come in and register for the 2018 Summer Reading program. Registration days will be July 2 & 3, and July 5 & 6. Program schedules will be available during registration. 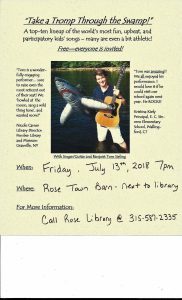 Free Concert on Friday, July 13. 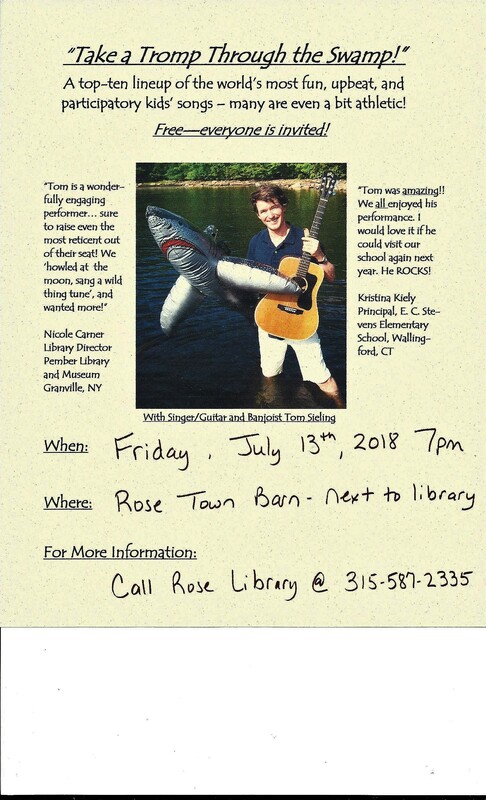 Come and join us for this free concert, as part of our Summer Reading Program! All ages welcome. 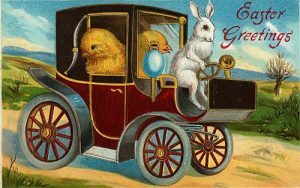 The Library will be closed for Good Friday, March 30, and March 31st for the Easter Weekend. Happy Easter! Due to the poor weather conditions, the library will be closed today, February 7.